Our collaboration on Hamilton's new website is proof that sometimes a great editor is all a story really needs. When we met with Hamilton College, we immediately saw the embodiment of the skills they teach their students. So to be tasked with telling the story of—and stories arising from—a school like Hamilton was like a flood of fresh ink into our wells. Hamilton prides itself on the written and oral communication talents of its students. Hamilton’s open curriculum and marching orders to “study what you love; be who you are; and find your future” foster exploration, excitement and a truly entrepreneurial spirit in its student body. For us, the pieces were there. We just had to put them together in a way that is unique to Hamilton, and make the new site infinitely easier to navigate and use than their existing one. A dynamic triptych feature on the homepage was the first place we started. 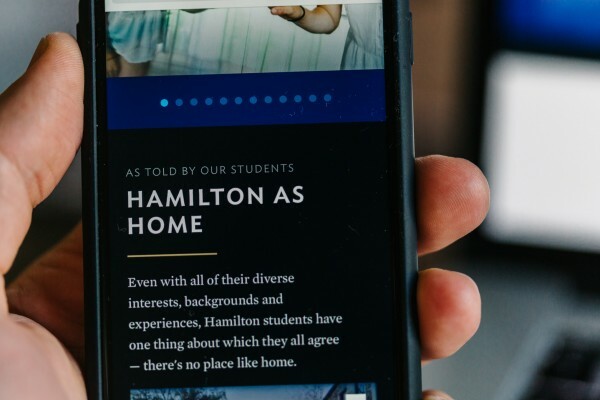 Form follows function here, with each of the three columns dedicated to promoting one of Hamilton’s academic, student life, and outcomes-based narratives. The content strategy is flexible. It can accommodate school-wide announcements, program-specific content, or stories about—and by—specific students. Brief, evocative writing and active imagery tie it all together in a way that both shows and tells Hamilton as it is—intelligent, active and relevant. Hamilton’s open curriculum is a key differentiator and selling point for the school. The new site more clearly explains Hamilton’s version of what an open curriculum can be, combating misconceptions that curricular choice comes at the expense of guidance and structure. 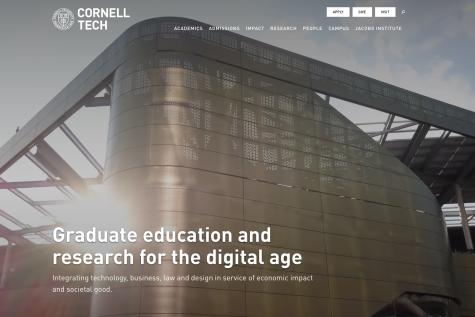 The top of the academics landing page is a structured grid that offers a guided tour through a blend of academic content. This leads to an easily scannable overview of all areas of study, followed by some highlights of what Hamilton can offer beyond the classroom experience. Anchoring the homepage as a post-footer treat is the elegantly designed “On Writing and Speaking.” While the content here does not drive site traffic, it quite literally underlines Hamilton’s communications core with a series of quotes from Hamilton notables about—you guessed it—writing and speaking. 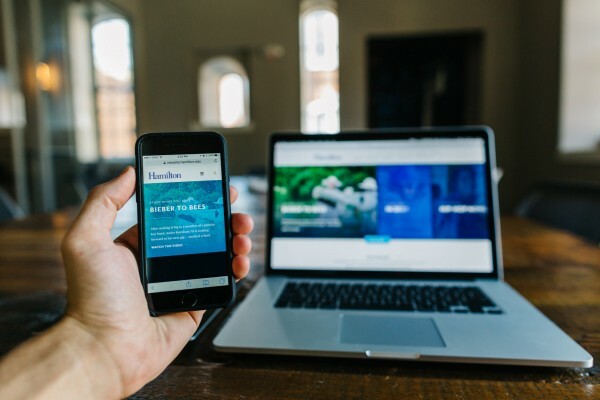 While awards aren't everything, they do provide a certain amount of proof that the creative strategy, design and development are resonating with a larger audience. We were all thrilled when our work with Hamilton brought home a CASE Gold award in 2017.